We have sought legal interpretation of the above points and what legitimacy the Building Consent Authorities (BCAs) have in requiring this documentation and the risks associated with it. We are aware that the SFPE NZ Chapter are in parallel seeking advice on the legality of PS4s, construction monitoring and co-ordination statements for fire engineers. We have therefore decided to share the attached legal advice we have received to inform the wider SFPE membership. We hope that this letter will expedite the process and save the SFPE membership from incurring further legal costs. We also hope that it forms a sound basis for further discussion within the SFPE and with other stakeholders as to how its members may protect themselves from unnecessary liability whilst providing a professional client focused and cost effective service. Please note that the pages are not necessarily in order. You may need to rearrange. As CPEng we should not be breaking the Law (asking for more than the Building Act). MBIE recently confirmed to me that there is currently no plan to amend C/VM2 1.2.1 Comments 2 to 4. Comment 4 is the one specifically requiring an FEB. I will be interested in MBIE’s response given this new information. It’s appreciated for sharing this. Could I request that you provide the questions and information you provided to the solicitor, as many of the answers are highly contextual. Understand if you wish not to. The context in which the questions were asked is clear in the construct of the questions addressed in the letter. We wanted to confirm the legal status and therefore the requirement to undertake certain tasks (FEB/Co- ordination/PN22/const monitoring/PS4 and where the liability both personal and corporate rests. The information that was used is freely available via RFI from Councils, Determinations made by MBIE and the Building Act 2004 itself. I was having a talk with someone yesterday and a thought struck me regarding the work that Tony (Parkes) is undertaking on behalf of the SFPE(NZ). As we have provided the letter from our group to the wider audience then surely the work being run by Tony can now be adjusted to simply sending the letter we have to whatever legal practice SFPE choose to check the validity and correctness of the contents. This will reduce fees paid to solicitors for unnecessary work and speed up the outcome for the SFPE(NZ) - assuming that the contents are ratified. Obviously if the return is that our advice is incorrect then more work would be needed. It seems logical that this would be the best option as it reduces the load on Tony, the SFPE exec and saves the funds being paid out of the SEFP pot for work already paid for privately. I read with interest that the prelim report into Grenfell Tower now includes incorrect internal passive fire construction, either missing or not appropriate…(that is no surprise though). 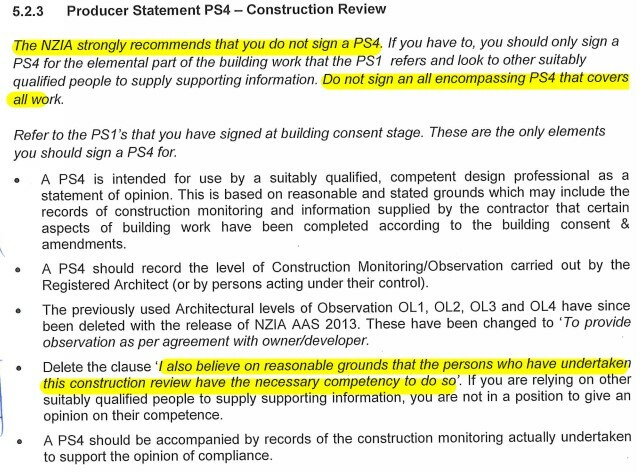 So now who wants to sign off construction monitoring and issue a PS4 whilst carrying personal liability…? Thank you very much for sharing Gillian. Any PS4 for any disipline should be very clear as to what it covers and the basis of the “reasonable grounds” for issuing it. For clarity, it should also be clear about what is not covered. in the case of fire engineering of an ordinary building, the fire engineer does not design or specify anything but gives a performance requirement, so if you exclude everything we don’t do, there is nothing left. Any BCA relying on it as a reason to issue CCC when it is clearly stated it does not cover what they think it does will come unstuck. IPENZ PN22 is part of the basis for fire protection design and documentation in New Zealand, and this gives the scope and responsibility for design, documentation and implementation for the Fire Report requirements for various aspects of building design. A PS4 cannot cover items not specifically designed by the engineer despite being called for by the Council, and there are no specifically designed elements in this building. This PS4 cannot cover those items outside the scope of fire engineering design in IPENZ PN22, such as items designed or specified by others, or design and build elements by others or which are not specifically designed by the fire engineer. Examples of this would include items such as wall and ceiling specification, fire stopping, penetration or construction/ protection details (architect, mechanical engineer or design and build contractor as applicable), structural steel protection (structural engineer in accordance with NZBC B1 -1.3.3i and 1.3.4) or fire protection systems (fire protection contractor/ designer with independent specialist certifiers). . By issuing a certificate of practical completion, it is assumed the architect has been satisfied that their design requirements have been met. Fire engineers are blowing the whistle on a "ticking timebomb" threatening the construction industry, says the Property Council. Thanks for that Geoff, very helpful. What is of interest now, is how will the BCA seek evidence of compliance, and what impact will that have on costs and program? Unfortunately Architects are refusing to sign off the items they design and specify (eg GIB walls, floors, doors etc) and its getting dumped on the the fire engineer who have no design input on this items (fire engineers specify performance requirements only). A good starting point would be council requiring PS4’s from the Architect as they do with other disciplines. This would mean that the fire engineer would only sign of any specifically designed items, of which there are few if any. Why should take the liability for some else’s design and design decisions? interestingly enough, I had a chat to my daughter’s father-in-law about this topic. He is an architect who works in light commercial, such as Childcare and Schools. The issue seems me to be a matter of being clear at the outset on a project who is taking responsibility for the Construction monitoring of fire systems. Our preferred approach is that project Architects ask us as the Fire Engineer to vet products they want to use for fire safety Compliance. We are the ones best qualified to vet product fire testing data for NZBC compliance. In tern we like to work in with specialist passive installers and routine site inspection services providers as we recognize that Fire Design Engineers such as us can not efficiently be expected to know in isolation the finer points of passive fire stopping. Greg North from BECA gave a great presentation on this subject a few weeks ago which in essence proposed that it is time well spent at the beginning of a project by the Fire Engineer, making sure the QA process for installation of fire systems and the construction monitoring of those installations, is robust. Of course, this is the ideal and appreciate that all to often in reality Fire engineers are not properly engaged and feel Professionally compromised if they are to sign a PS4 at the end of a project. The NZIA issued advice that their members should not do PS4s - see attached. This is very clear cut that they do not do PS4s due to liability. In my experience, I have not found an architect who will do a PS4. This advice and the common approach by architects was confirmed during the ENZ (IPENZ) PN23 working group where we had a couple of architects and this was discussed in depth. Unfortunately during the MBIE working groups, the NZIA at that time did not want to have a representative on the working group which is unfortunate as it possibly might have been looked at then and they would have had some useful input to at least find if there is any common ground. If you are issuing a PS4 based on an inspection by others, what value are you adding to the process? How are you sure that the inspection agency is competent and qualified - and if you can rely on them, why can’t the BCA directly? All that you are doing in that case is taking risk and adding cost and setting yourself up as a target for little return. Unlike sprinklers and alarm systems , there is no standards based requirements or ISO17020 verification and accreditation for e.g. passive fire protection. It is risky to rely on a person claiming to be expert in the field without some basis for it and a formal procedure to rely on. If you think a PS3 from a contractor has much value or comeback to the person who wrote it, which would therefore allow you to put weight on it as they would be forced to take some care, then you may be disappointed. 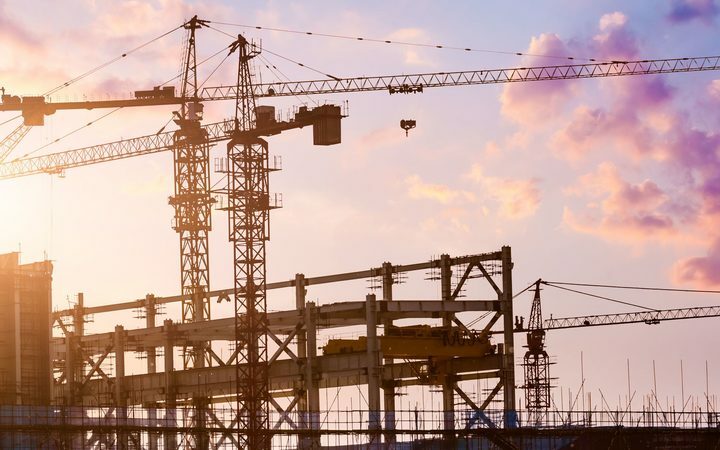 There was a judgement earlier on this year in the Wellington High Court, looking at the liability of a producer statement author who wrote a PS3 on behalf of the main building contractor which was part of the requirements of the construction contract. It was a case of leaking plumbing pipes at a Wellington hospital due to claimed faulty manufactured pipes. Another interesting case and commentary below involves producer statements and liability to subsequent purchasers of a property - i.e. you sign a PS for your client and a later purchaser has building issues, it may come back and haunt you. I agree that you shouldn’t sign a PS4 if you are not satisfied on reasonable grounds that the work is not done properly and PS3’s are not necessarily worth the paper they are written on. However as a profession the real question we should be asking ourselves is how we can influence the way buildings are designed and built so that the public can be confident that they are living and working in fire safe buildings. Advice on FEB’s to de risk the design process for engineers and clients. Working with NZIA on guidance on what design coordination really is (not a box ticking exercise) so that constructors have a fighting chance of building what we intended. Preparing a Fire Engineering body of knowledge to create a more uniform standard of competency for fire engineers (this is your project so thankyou for your efforts). It appears that as soon as you step on site the fire engineering takes liability for everyone else’s poor workmanship. I understand that construction monitoring is vital but it brings us back to the issue that the fire report is a performance document and the fire engineer is not involved in the design and specification of building elements or systems. What is there for us to sign off? Some fire engineering companies have chosen to go into the passive fire business. This is their commercial decision and does not mean that this would automatically now become the role of all fire engineers. I hope that the construction monitoring guidance by SFPE takes this into account, and does not automatically assume that all fire engineers wish to be involved in passive fire design/inspection. After all this is not a professional engineering skill.